It is a very high quality piece of brassware and makes a big difference to the instrument. 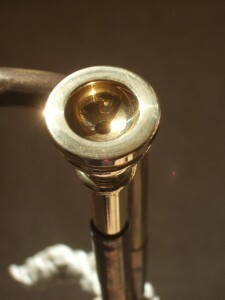 I don’t feel there is a mismatch installing this on a rather wobbly instrument – the mouthpiece is very much the most important part of the trumpet, so much better to have a top quality mouthpiece on a cheap trumpet, than get an expensive trumpet and use a modern or otherwise dodgy mouthpiece. 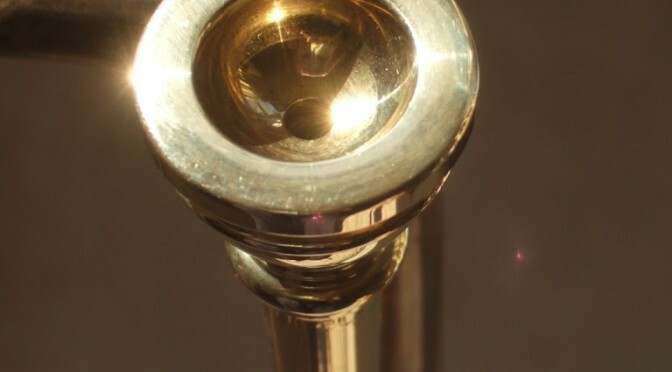 I suppose it is similar to my fiddle, an anonymous mass produced instrument, fitted with the best handmade natural gut strings.